Your home's water plays a major role in keeping your home as comfortable and sanitary as possible. Any problems that you encounter with your water heater can leave your home extremely uncomfortable, and they can be very frustrating. 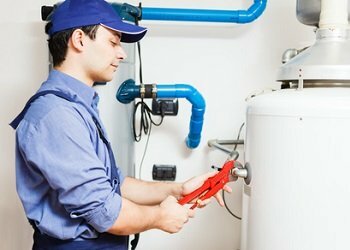 When you have any problems with your water heater, our plumbers will be able to provide high quality, prompt water heater repairs and replacement services. At Franklin Plumbing & Drain Cleaning, our plumbers have extensive experience installing and repairing water heaters in Columbia, SC and the surrounding areas, and we'll always be able to help you keep yours in great shape. Whether you need repairs, maintenance services, or replacements, we'll always be ready and eager to tackle the job. We know how important your water heater is to your home, so we work hard to provide high quality workmanship and great customer service at every job we perform. Give us a call today to schedule service for your water heater, and we'll be looking forward to working with you. You use your water heater every day, multiple times per day, so i's constantly under a significant amount of stress. Because of that, your water heater requires regular maintenance and frequent repairs, and it can develop serious problems at any time. Our professionals will be able to quickly diagnose and repair any problems you encounter with your water heater. Our plumbing services team can also provide regular maintenance to help prevent problems from developing and keep your water heater running as efficiently and effectively as possible at all times. We'll do whatever it takes to keep your water heater safe, reliable, and efficient. Most water heaters last for around 10-15 years before they need to be replaced. However, if they don't receive the care that they need on a regular basis, they could last for a much shorter period of time. Listen for any clicking, buzzing, or sporadic loud noises, and watch out for leaks around your water heater; all of these can be signs that you need to have your water heater replaced. Contact our professionals if you notice these signs, and w'ell help you decide whether your water heater can be repaired or should be replaced. For quality service for tank and tankless water heaters in Columbia, SC and the surrounding areas, please call Franklin Plumbing & Drain Cleaning at 803-799-2222 or complete our online request form.